Last summer Instagram had announced a feature they referred to as “Favorites”. This feature was a response to the rising trend of people making spam accounts where they only let their inner circle follow them. The Favorites feature was meant to be a place where you could share posts and stories with the people you were closest to. Eighteen months later, Instagram has announced that the long awaited feature is finally here. However, it is not here in the form that people might have been expecting. The Favorites feature is going to be restricted to stories. 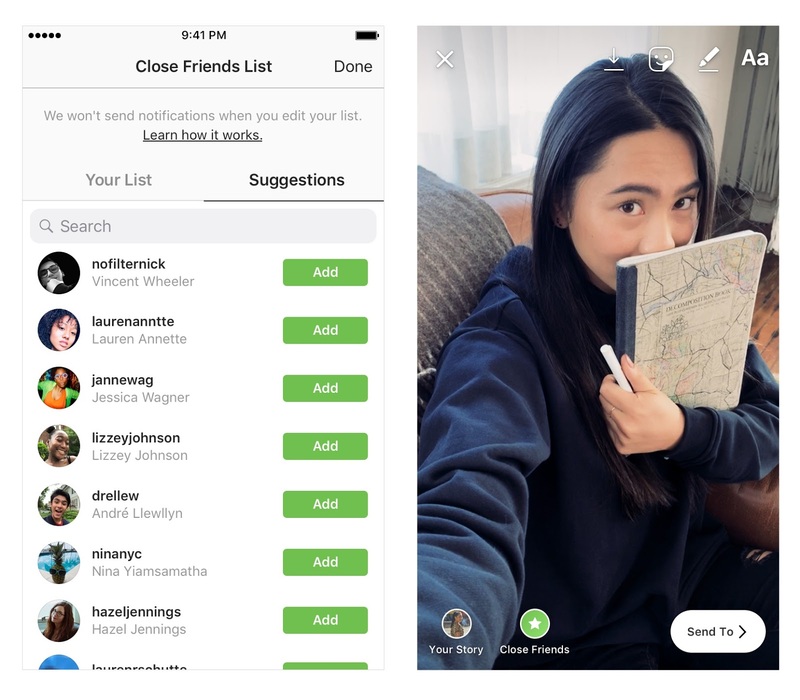 Basically, when you open your camera to start creating an Instagram story, you will see a new button that will take you to an erstwhile empty list called “Close Friends List”. You can add people to this list and subsequently create Instagram stories for all of them. These stories will not have to be as heavily censored as the ones you share to all your followers. This will make it possible for you to lead a dual life of sorts on your main Instagram account rather than having to make a separate account for the posts that you might want to keep a little more private. "Instagram Stories has become the place to express yourself and share everyday moments, but our community has grown and sometimes what you want to share isn’t for everyone. With Close Friends [feature], you have the flexibility to share more personal moments with a smaller group that you choose. ", announced Instagram in press release. Adding further, "Close Friends will be rolling out globally today on the latest version of Instagram for iOS and Android." One very important benefit of this feature is the fact that it takes into account the embarrassment of adding and removing people from a list of close friends. People won’t get notifications when they are added to your list of close friends, nor will they be notified when they are removed. This will help you avoid awkwardness that might ensue after you add or remove people. One thing that definitely needs to be improved is the size of the Close Friends button at the final screen. It is currently a bit small and tapping it can be a real pain.